OLD ORCHARD BEACH, ME – Surge drop game one of Wednesdays double header against the Puerto Rico Islanders. The Old Orchard Beach Surge were ahead by the score of 3-1 for the majority of the ballgame but were unable to hang on for the win in the end. The final score was 4-3, with the Islanders claiming the victory. Bradford Fulton was the starting pitcher for the Surge in game one. Fulton threw 5.0 innings, allowing two runs with five hits and four strikeouts. Ricardo Espinosa came in for the close in the 7th inning but was unable to hold the lead. Ricardo gave up two runs on two hits and two walks to allow the Islanders the win. Angel Graced opened up the scoring for the Islanders in the first inning, hitting a home run straight down the left field line. That was the only run the Islanders would get across the plate until the 6th inning. 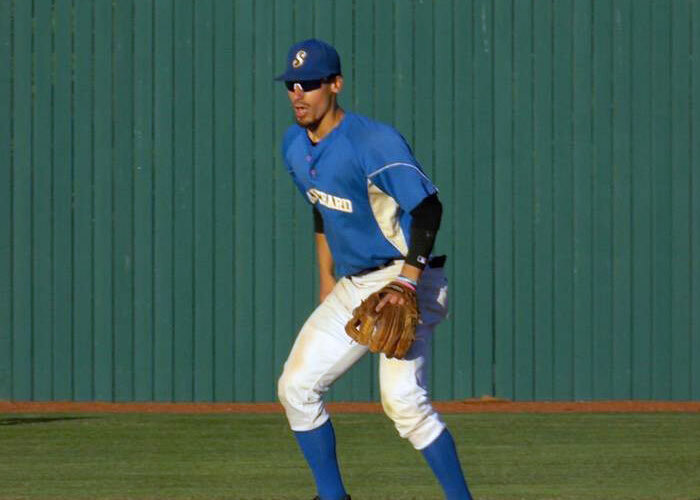 Michael Gonzalez had the game winning hit in the top of the 7th inning, with a double over the right fielder’s head to score both runners from first and second base. The three runs for the Surge in game one were batted in by Ryan Chesney, Daniel Dominguez, and Alejandro Rodriguez. The winning pitcher was Islanders’ Axel Cruz, throwing 1.0 innings zero hits allowed and one strikeout. The losing pitcher was Ricardo Espinosa who pitched 1.0 inning with two runs allowed, and one strikeout. The Puerto Rico Islanders defeated the Old Orchard Beach Surge with a score of 7 to 3 at The Ballpark on game 2 of the double header. The Surge starter Dylan Hatch threw 1.2 innings, striking out three batters and allowing five runs. The Surge were headlined by John Tierney who had two hits. Daniel Dominguez also reached base twice with a hit and a walk. The Islanders had three players collect two hits each. Islanders starter Matthew Quintana threw six innings, allowing only one run and striking out 12. Both teams will meet again tomorrow at 2pm in Old Orchard Beach for game 3 of the series.